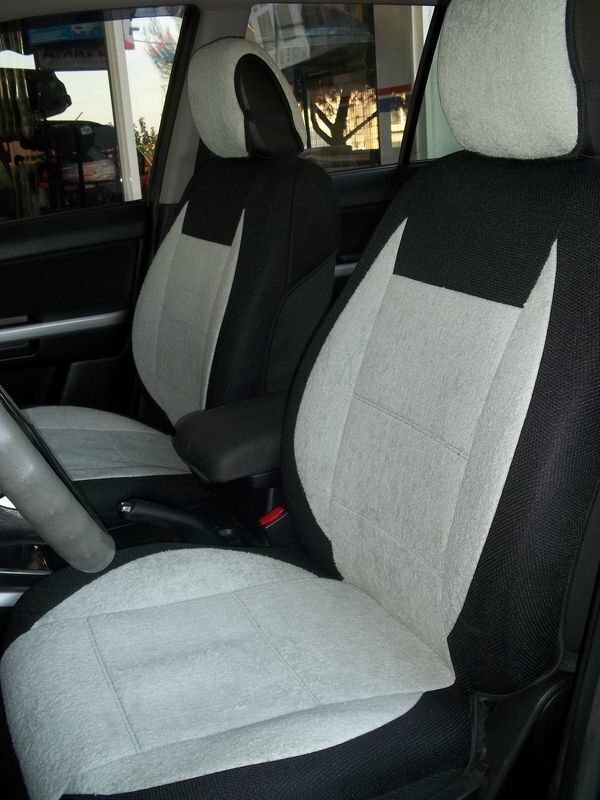 topcar-athens for Peugeot 407 4/5 doors mix Cotton Towel and synthetic two front custom LIGHT GRAY & BLACK car seat covers - Peugeot 407 4/5 doors HOUSSES DE SIEGE. MIX COTTON (TOWEL) AND SYNTHETIC (POLYESTER) VERY BEAUTIFUL CAR SEAT COVERS. This material doesn't fit into existing product categories, but defines a new category. It is a truly sleek, styling fabric that is breathable, durable and washable. upper place of the rear surface for an easy installation.